The new year really kicked off with a lot of action here at Tamarindo Church. We started out the year with guest Pastor Paul Dreesen from International Baptist Church in San Jose sharing a powerful message that challenged us to commitments in four areas of our lives that would help us grow spiritually. 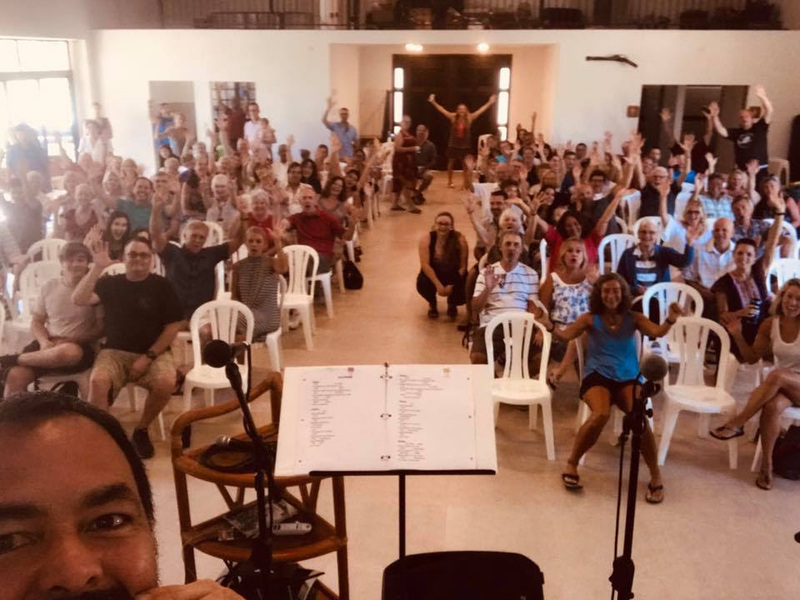 If you didn’t know it already, the IBC Church in San Jose is a sister church of Tamarindo Church as we are both member churches of the International Baptist Convention. The IBC church in San Jose also played a role in Tamarindo Church being planted six years ago. Thank you pastor Paul for starting our year of with a challenge for growth in our spiritual walks. of faith that God has drawn together over the past six years, and I look forward to seeing how God will advance His Kingdom into our community through our church family in the years ahead. 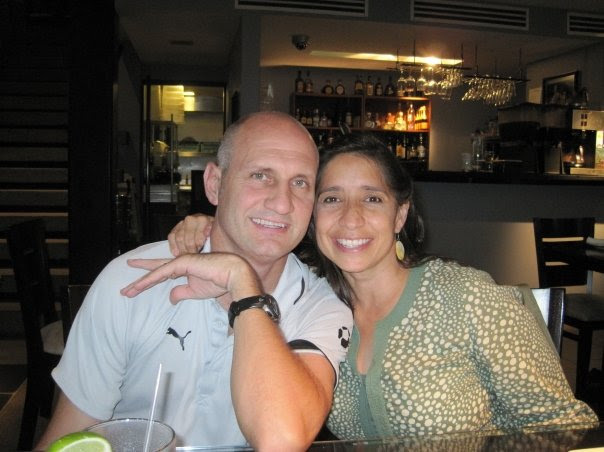 would have it… before we even started building, God drew Jim and Christa Niven to become a part of the Tamarindo Church family. Jim and Christa have years of experience in starting several schools in the United States and, a few months into their involvement with the church, Christa shared that she felt called to start a school here in Costa Rica. And… she said that they were interested in renting the rooms on our first floor for the school. 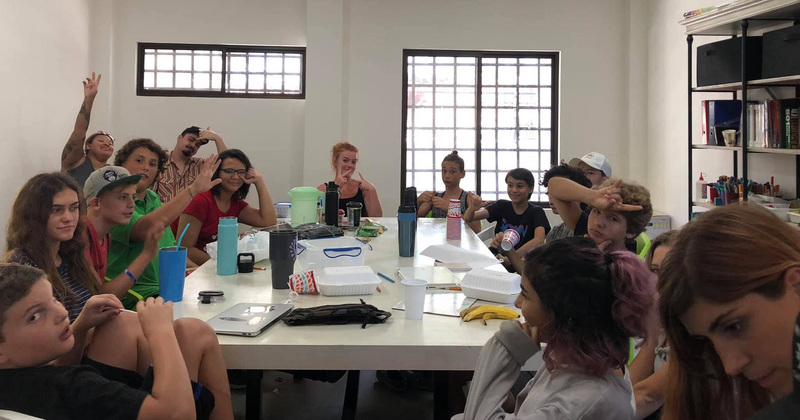 To make a long story short… just after our church building inauguration in January, Journey school began meeting for classes at Tamarindo Church. It has been a great partnership between the church and the school as we are building community together, and bringing the unchurched into relationship with the church in genuine, authentic ways. We are grateful for this partnership, and we anticipate God bearing much fruit through this crossover of community and relationships. We’d like to give you a final update on our Pledge Drive for the 2019 operating budget. Tamarindo Church’s operating budget for 2019 is $114,844, and our goal has been to raise $90,000 in pledges. As of January 31st we are thankful to say that we have reached $80,000 in pledges! That is great news, as we are now only $10,000 short of our goal. At this point, we are trusting that the remaining amount for the budget will be met through Sunday offerings and unforeseen gifts throughout the year. Thank you to all who have already partnered with us by making your pledge. If you have not made your pledge of financial support but would like to, CLICK HERE for instructions on how to do so. Thank you! 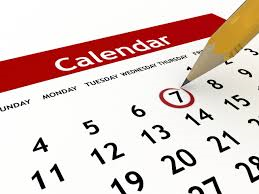 As we move into February below are few events coming up on the Calendar that we thought you might be interested in knowing about. 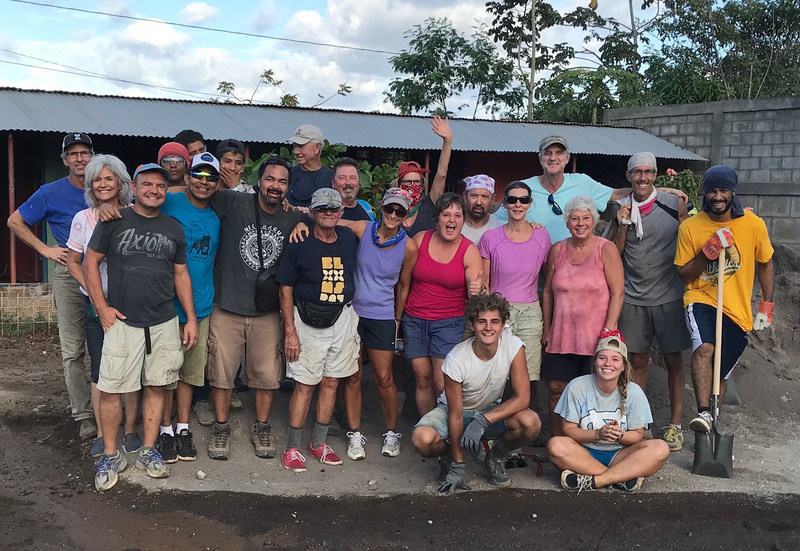 Please keep us in prayer as a team from Tamarindo Church heads up to Nicaragua to serve our friends in Cristo Rey, Tipitapa. Guest Preacher- February 17th-Tamarindo Church welcomes guest preacher Alex Bejarano from Casa Vida Church who will be sharing a word with us on Sunday morning. Pizza Fellowship- February 17th Join us after church at Best Western/Monkey Bar in Tamarindo for pizza and hanging out. Scroll down in the newsletter for more information on the events listed above. 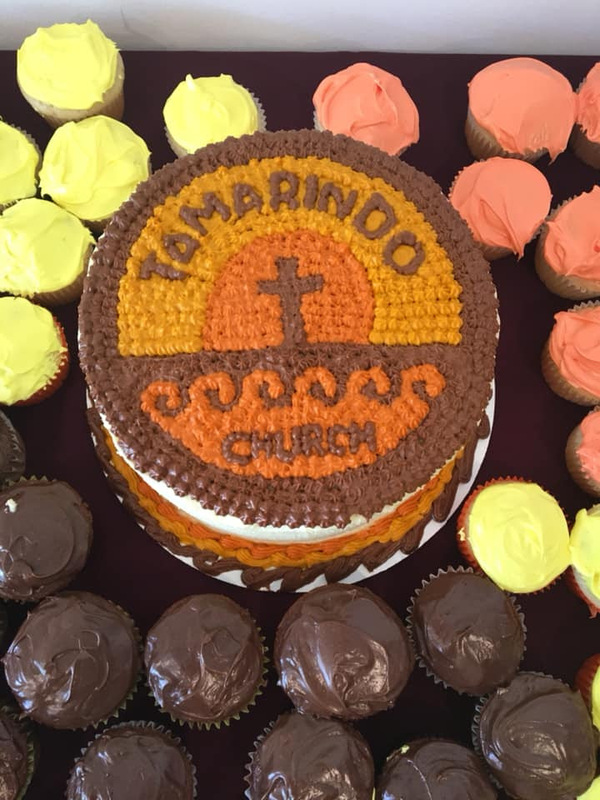 Thank you all for the many ways you give to support the life and ministry of Tamarindo Church. For our friends in the US and Canada, stay warm up there! God’s blessings to you and your families. We hope to see you at church next Sunday! 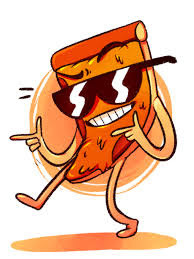 Hey all… just a reminder that we are on for pizza and hanging out after church on Sunday the 17th after church. 12:00 noon at the Monkey Bar/Best Western Vista Villas. Bring a bathing suit if you want to swim. Hope to see you all there! 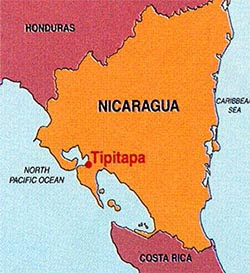 On February 11-15th, Tamarindo Church will be headed up to Cristo Rey in Nicaragua for our annual church mission trip. Please pray for our team as we serve our friends in Cristo Rey. This year, we will be partnering with the ministry of Fundacristo, a school in the barrio of Cristo Rey. During our time there, we will be providing school supplies for teachers, buying text books for their 8th grade class, helping with a painting project, and distributing food to the poor. Here is some interesting information on education in Nicaragua from Fundacristo’s website. Only 72%of children finished primary school in 2009, the latest year for which data is available. This low figure hides bigger inequalities as only 65% of children from the poorest 20% of families completed primary school compared to 98% from the richest homes. Secondary school figures are unsurprisingly much worse:46% finished the first tier (9th grade/year 10), and only 19% completed 11th grade (year 12). In the poorest families, only 6% of children finished secondary school. 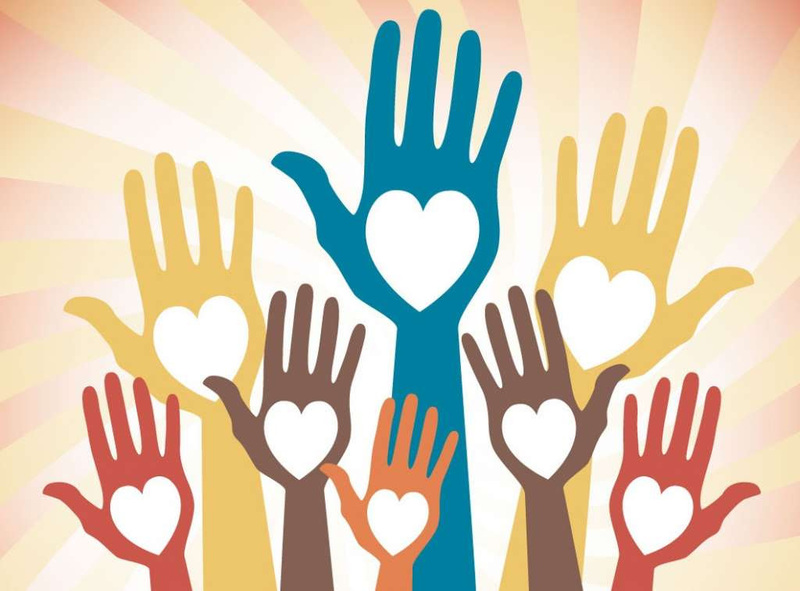 If you would like to be involved in making a difference in the community ofCristo Rey, please consider sponsoring a Child at the Fundacristo School . Fundacristo has a goal of getting 30 sponsor for kids by the end of February. You sponsorship would help Fundacristo minister to children in Cristo Rey. In addition to giving these kids a free education that they would otherwise not receive, Fundacristo also shares God’s word with these kids, and feeds the students twice a day. An added bonus for sponsoring a child here is, we visit them at least once a year. So when you sponsor a child, you would have the opportunity to visit and personally encourage your sponsored child by joining us on one of our mission trips. Pretty cool. To learn more about Fundacristo or to sponsor a child Click Here. Join us for Youth Group every Friday, 7 – 8:30 pm at Tamarindo Church! Youth nights at Tamarindo Church create an environment where teenagers feel welcomed and feel safe to be themselves. 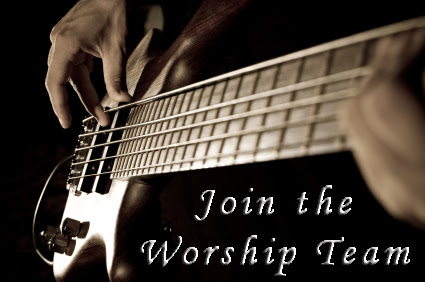 And join us on Sunday mornings at 10:00am for diving deeper into God’s truth together at Church. Each week, we start Youth Group with some crazy games… followed by a time of digging into the Bible together to figure out who Jesus is and what He is all about. All 6th – 12th grade students are invited! LEADERSHIP Please pray for our Church Board and our Ministry Leadership Team. Please pray that God would bless our Leadership with wisdom, humility as we lead the church. We are thankful to say that we are only $10,000 away from our Pledge Drive goal for the 2019 operating budget. Thanks be to God for His provision. Please pray that God would continue to provide and meet our financial needs for this year of ministry. That God would create a spiritual hunger in our community, and that we would see many come to a saving faith in Jesus Christ. Please pray that our Christmas Eve Service will draw many of these people to church. CHURCH LIFEPlease pray for our leadership and volunteers as we transition into a new season of ministry in our new church building. Change and growth is exciting, but often a bit stressful. Please pray for unity, grace, patience, flexibility among all of us as we adjust to life and ministry in the new church building. Please pray for our team going up to Nicaragua on Feb 11th-15th. Please pray God’s safety for the group. Please pray God’s blessing of our time in fellowship and service to our friends in Cristo Rey, Nicaragua. Please pray spiritual wisdom and direction for Pastor Lyle as he leads the church. For Stacey’s job in real estate… that she would find good balance between family, ministry and work… and not feel over-stressed or anxious. And please pray she would earn enough to cover our children’s school tuition. For our children Olivia and Wolfie… that they would continue to grow to know, love, and serve our Lord. And for spiritual protection over our family. Please pray spiritual protection over our church and our Ministry Teams…. guarding us from spiritual attack and oppression, and anything that causes disunity and divisiveness in the body of faith at Tamarindo Church.